Arrive at Cochin airport, report to coach proceed to Munnar. Arrive at Munnar in the evening. Enjoy speed boat ride at Mattupetty Dam. View Tea Garden, visit Echo Point and the Eravikulam (Rajamalai) National Park. Proceed to Kumarakom. On arrival free time for relaxation. Visit Kumarkom Bird Sanctuary, the main attractions are local birds like the waterfowl, cuckoo, owl, egret, heron and the water duck, as well as the migratory Siberian cranes. Parrots, teal, larks, flycatchers, wood beetle, and other birds are seen here during their respective migratory seasons. Enjoy get-together with your travel companions in the evening. Proceed to Alleypey. Check in Houseboat. 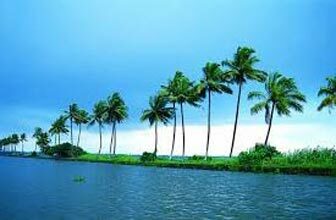 The most predominant way to experience the Kerala with Kerala houseboats. Proceed Kovalam. 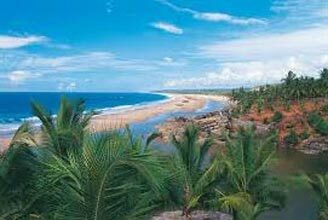 On arrival enjoy free time at Kovalam beach. Proceed for the city tour of Trivandrum. Visit Padmanabh Swami Temple, Raja Ravi Varma Art Gallery and Napier Museum (subject to operation). Visit Velli Garden and enjoy speed boat ride at Velli Lake.